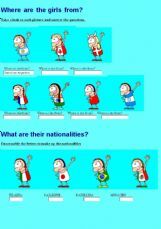 Find out the countries and nationalities by analyzing the flags in the pictures. Unscramble the letters, check the right option, select the correct alternatives and have some fun. 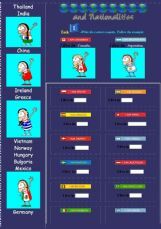 Exercises to practise the name of countries, capital cities and nationalities. 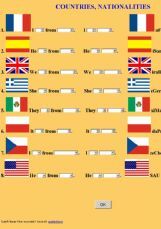 Three exercices about India, the UK, the USA, Canada, Ireland, Australia, Jamaica and Kenya. 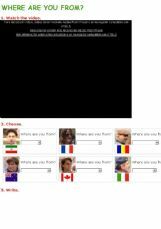 It practices vocabulary - countries and nationalities - using a communicative approach.